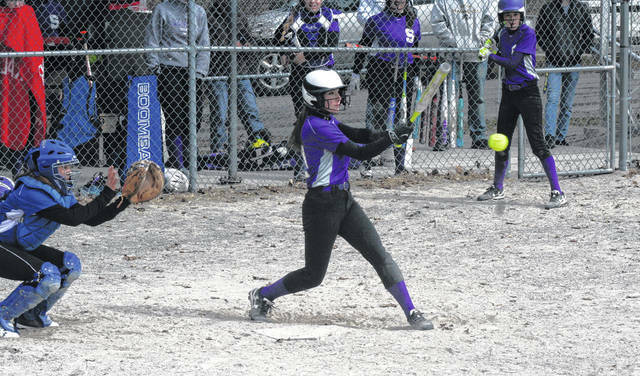 Swanton’s Kailey Brownfield gets a base hit in a game last season. Brownfield is one of seven returning letter winners for the Bulldogs in 2019. 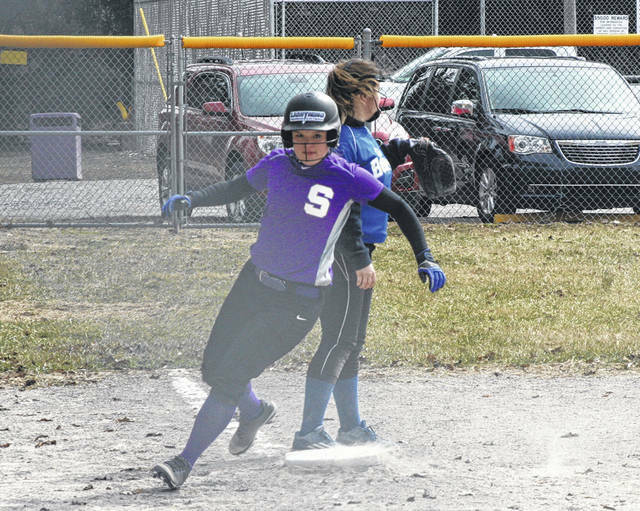 Kylie Ulch of Swanton runs the bases in a game last season. She returns after being named second team All-NWOAL as a sophomore. Swanton’s softball team will look to improve on last season with several letter winners back on the field. Coach Joe Nye’s Bulldogs were 11-8 overall last year, but 0-7 in the Northwest Ohio Athletic League. Leading the list of returnees is junior Kylie Ulch. She was named second-team all-league as a sophomore last season. Also returning for Swanton are Kailey Brownfield, Alexis Bergman, Morgan Pine, Jessica Dohm, Kara Truckor, and Rachel Waszak. Despite the solid list of returnees, the Bulldogs will have to replace some key pieces from the 2018 squad. Letter winners lost from that team include Kaitlyn Merritt, Haley Nelson, Eva Weigel, and Olivia Williams, who was honorable mention all-league. Looking to fill the void will be promising newcomers Brianna Williams and Emma Operacz. Coach Nye sees defense as a strength for Swanton heading into the 2019 campaign. The coach listed Bryan, Archbold, Evergreen, and defending champion Wauseon as the top teams in the NWOAL. The Bulldogs are scheduled to open the season Saturday at home in a doubleheader against Woodward beginning at 11 a.m. They then face Montpelier on March 25, host Waite March 27, travel to Notre Dame March 28, and play Southview and Bowsher at Scott Park on March 30.